This morning I woke up to see the in Youtube the new advertising video of Chanel feauturing for the first time the seductive Brad Pitt, as a marketing strategy it is a first as the mythic perfume originally launched in 1921, after using the most iconic models, actresses and women including Madame Coco Chanel this year they decided to seduce us with Brad Prit. 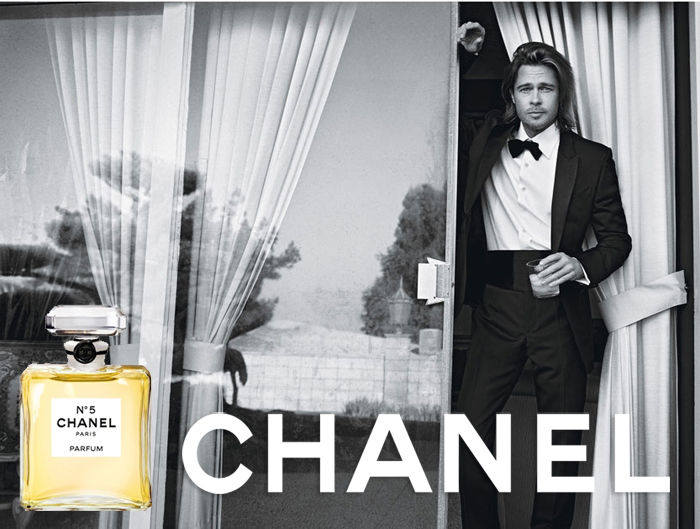 As brilliant as I thought the idea is (who does not want Brad Pitt to sell us perfume; who by the way will turn 50 on 2013), I found the video a little “inevitably” , but I do like the print ads, I am curious to see if these move will increase sales, in any case wether I like it or not I am sure many will love it. Please click here to watch the video and decide for yourself. By the way I did not wake up to see ad in Youtube, but to chose my feel good song of the week, click here and have a great week :).